STERLING, VA--(Marketwired - October 15, 2013) - Overwatch Geospatial Solutions, an operating unit of Textron Systems, a Textron Inc. (NYSE: TXT) company, announced today the release of its RemoteView™ 4 geospatial intelligence (GEOINT) software, offering a slate of new features and capabilities that provide analysts enhanced productivity and performance. RemoteView 4's extensive set of GEOINT tools enhance the intelligence gathering and analysis process, providing a new analyst-centric graphical user interface (GUI), streamlined navigation, as well as workflow aligned toolbars and profiles, which can be customized by individual users and analytical teams. The intuitive design and alignment of these tools, with functional workflows, enables RemoteView 4 users to quickly learn and master the software's full range of capabilities. "This new version of RemoteView enables users to analyze geospatial data with a high level of confidence," explains Jim Dolan, Overwatch Geospatial Solutions senior vice president and general manager. "More than 25,000 analysts in 26 countries rely on RemoteView to provide situational understanding and support to mission critical operations. We're committed to delivering powerful and easy-to-use tools to facilitate timely and relevant geospatial intelligence analysis." 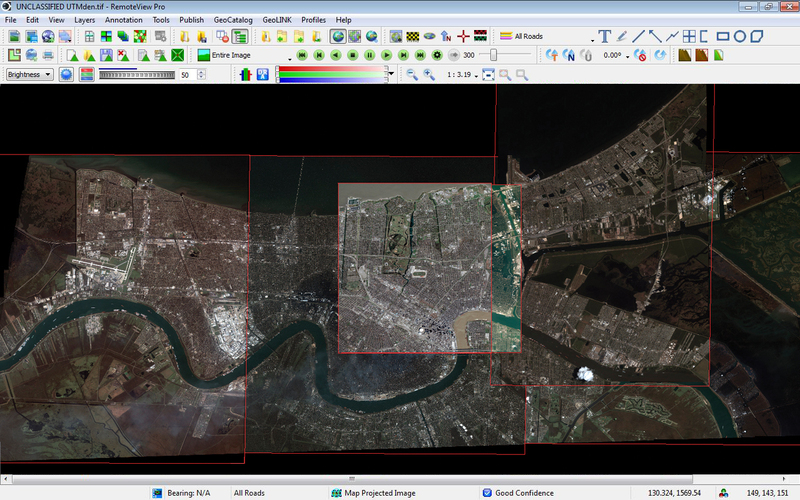 Version 4 of RemoteView software offers a full spectrum of advanced geospatial exploitation capabilities as well as imagery and multi-image analysis, motion imagery analysis, geospatial data management, publishing and product generation, 3D visualization, tactical mission planning, precision positioning and third-party-integration. Optional RemoteView extensions, including 3D Pro™, RVConnect™, V-TRAC™, Virtual Mosaic and GEO2PDF, expand the software's power and functionality with additional customization to meet specific user requirements. RemoteView is employed across a broad spectrum of agencies and industries such as: military and defense; border security; disaster relief; natural resource management and environmental engineering; city planning and civil engineering; ecosystem monitoring; oil and gas exploration; and utility company operations. As part of Textron Systems, a leader in aerospace, defense and homeland security solutions, Overwatch Geospatial Solutions works in tandem with other Textron Systems businesses and key industry partners including DigitalGlobe, RadiantBlue, KeyW, PTFS, PIXIA, EIZO and TerraGo to develop, field and integrate its full range of geospatial intelligence capabilities to meet current and future customer requirements. RemoteView is a trademark of Overwatch Systems, Ltd.
Overwatch is the leading provider of integrated intelligence software solutions and services for today's U.S. and international defense and intelligence communities. For the past 20 years, Overwatch's intelligence solutions have supported decision makers, counter-terrorism analysts, warfighters and first responders by providing proven tools that simplify the integration, analysis and exploitation of intelligence in order to present a complete operational picture and accelerate the time-to-decision. More information is available at www.overwatch.com. Textron Systems has been providing innovative solutions to the defense, homeland security and aerospace communities for more than 50 years. Headquartered in Providence, R.I., the company is known for its unmanned aircraft systems, advanced marine craft, armored vehicles, intelligent battlefield and surveillance systems, intelligence software solutions, precision smart weapons, piston engines, test and training systems, and total life cycle sustainment and operational services. Textron Systems includes AAI Logistics & Technical Services, AAI Test & Training, AAI Unmanned Aircraft Systems, Aerosonde, ESL Defence, Lycoming Engines, Medical Numerics, MillenWorks, Overwatch, Textron Defense Systems and Textron Marine & Land Systems. More information is available at www.textronsystems.com.